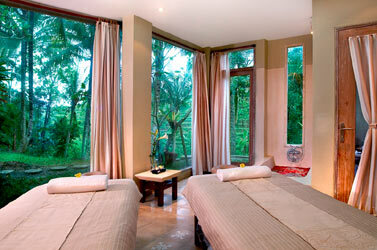 Wapa di Ume Ubud Resort and Spa a very different resort in Ubud. 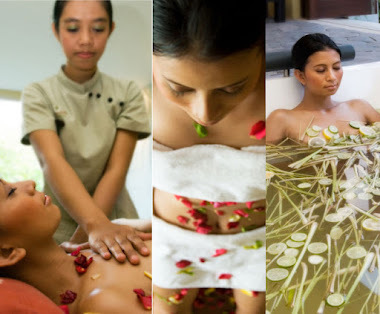 An Oasis of quite and serenity, only minutes from the hustle and bustle of Ubud, the cultural and artistic heart of Bali with hourly shuttle service to/from Ubud centre. You will stay in one of the eighteen individualistic and distinctive dwelling units, scattered down the gentle hillside flanked by rice fields. Everywhere at Wapa di Ume Ubud Resort and Spa, you are surrounded by the textures and colour of nature, dressed slate, tiles, smooth unpainted wood, soft homespun, fabrics, intricate worked copper, fragrant alang-alang grass roofing, natural bamboo, rough cut stone, flowers and foliage. All Villas have swimming pool, Suites have separate bath tub overlooking the ricefields, Lanai rice terraces have have a private bathroom with sunken bath and a balcony overlooking rice fields and some rooms have with an outside garden shower. 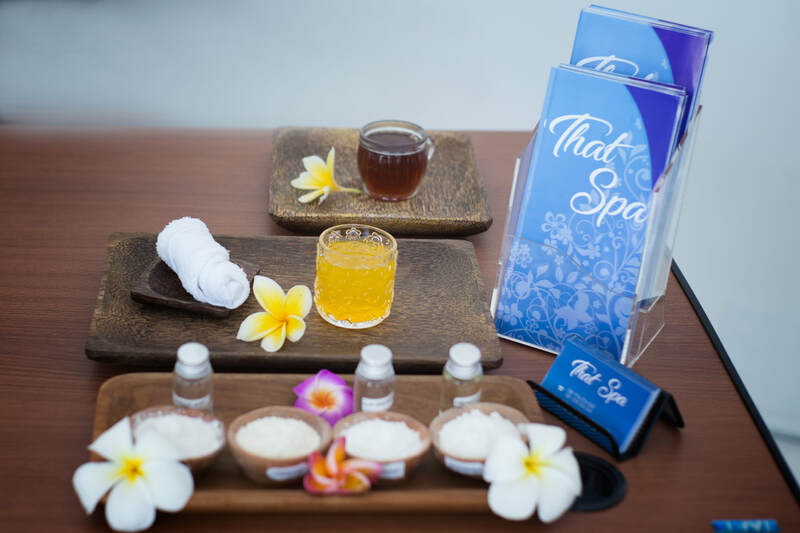 Indonesian herbs and spices add to the rich traditional nature of our treatments for total relaxation. 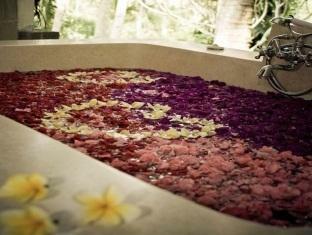 A selection of treatments is available featuring aromatic natural oils and an exotic blend of perfumes. 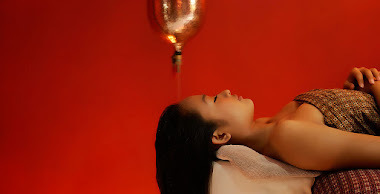 Our well-trained therapist will take pleasure in explaining each step of the treatment, to you.